Rene Amesz deconstructs "In and Out"
Toolroom Academy & FaderPro are excited to bring you our first feature with ace producer, Rene Amesz. 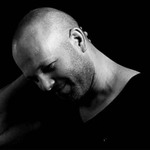 Rene’s productions can be heard all over the world – in fact in 2015 he was one of the top ten selling artists on Beatport. But it’s the Toolroom Records outlet that we see some of his best work to date and it’s his new release, “In and Out” that we will be featuring. Like most of the Toolroom Academy courses, they follow a production of a record from start to finish. But this is the first time that we get to see a brand new track being deconstructed - and just days after its release on the best-selling album Toolroom Ibiza 2016. This marks a big month for Rene, having just launched the new Toolroom Trademark sample pack series which immediately went to the number 1 position on Beatport Sounds. One of the most respected and technically gifted producers in the Tech House scene, it's the perfect time for his first full length production course with the Toolroom Academy and FaderPro. In this course, Rene shows us his step by step overview & deconstruction in how he made, “In and Out” and dives into how he came up with this bass wobbling peak hour gem using his favorite DAW, Cubase. He starts with how he makes his beats and his meticulous & signature EQ-ing of each sound which perfectly resembles his aggressive production style. He then moves into his arrangement and the bass patterns and shows us everything in between from bussing to mixing to percussion & layering to synths & automation. If a full on Toolroom Records signed production course is what you are after, then this is perfect for you! We know you as the producer are after real life courses to get you on your way to producing records for the next Toolroom signings and we are confident this course will do that. Rene Amesz has proven to us all that he’s a marquee producer, an internationally recognized DJ, and a label goto as a Remixer but now he can confidently add yet another trait to his hat as being an incredibly talented teacher as well.